What is Social Anxiety and Should You Join a Support Group? Social Anxiety is a psychiatric disorder. It is the third most common psychiatric illness in the U.S. right below depression and alcoholism. It affects millions of Americans and can be a debilitating and life altering condition that can prevent us from going out, experiencing social situations, having fun, strengthening our self-confidence and being our best selves. Sufferers of severe anxiety will dread the thought of meeting strangers or expressing their opinions especially if they disagree with the status quo. People with social anxiety contemplate negative thoughts in anticipation of their pubic interactions. One of the main contributors to social anxiety is low self-esteem. It is the feeling that we’re not good enough to be heard or to have our opinions valued. While anxiety can get in the way of our life it can also be arrested and prevented as long as we’re willing to do the work and make some changes to our everyday behaviors. Sufferers of social anxiety tend to focus on the negative, such as being judged, focusing on our imperfections, what people won’t like about us and a lack of interesting discussion topics, rather than focusing on all of the fascinating accomplishments we’ve made and our interesting opinions. Support groups aren’t for everybody. Many autodidacts and independent people will be averse to joining a support group in the belief that they can overcome their problems on their own. And while that may be true for some people it is not true for everyone. We are unique individuals with secular needs and no two approaches to life are meant to be the same. One excellent reason for joining a support group is because one of the better ways to working through an anxiety is to face it, and learn to deal with the discomfort. For social anxiety, that would mean to put yourself in a situation involving others. The group is a safe environment since you will be surrounded with others who experience the same worries and fears, and who are there to work through their struggles as well. One of the reasons why overcoming social anxiety is difficult is because one typically avoids social situations in order to not feel the anxiety. In a support group, you will have the opportunity to work through your anxiety in a supportive atmosphere. Are you ready to stop feeling so isolated? Come connect with others, and take a step toward overcoming your own social anxiety. 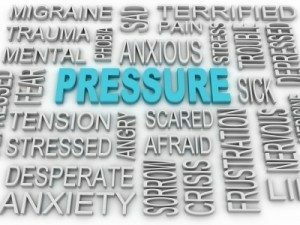 In a therapeutic setting, you are able to practice the skills and techniques suggested by the therapist to help you deal with social anxiety. What are some strategies for change? Identify situations you fear and avoid so that you could select appropriate exposure practices. Identify the extent to which you are fearful of the physical feelings that you experience when anxious. This will help determine whether you should practice exposure. Assessing which social skills need improvement; assertiveness, public speaking, dating, or general communication. Approaches to treatment such as, TFT, EFT, and/or Cognitive-Behavioral.